I am the mother of 3 amazing little humans. My oldest Matthew 16, Mason 12 and my little girl Makayla 6. It was not long after my mom passed that I became pregnant and found out that I was going to me the mother of a little girl. Oh, how different the experience would be. I knew that little boys and little girls were different I just didn't fully grasp how much. I knew that I wanted to be her best friend just as my mom was my best friend. I hoped that she would LOVE all things pretty, pink, soft and delicate. I dreamed of dressing her up and taking her picture. She is everything I dreamed of and so much more. She calls me her best friend, she loves all things girly and she even lets me dress her up and take pictures for hours. Here are just a few of the recent. Makayla is represented by JE Kids she is wearing Nellystella borrowed from The Borrowed Boutique. With a passion for the art of senior photography and a heart for capturing the innocent, organic nature of children, it is my goal to provide parents with tangible memories of the most precious years of their lives...the journey of raising children from birth to high school graduation. Miles stones are the prefect excuse to seek out a professional photographer. Newborn, 6 month, 1 year, 5 year, 8 year, 12 year, 16 year and high school graduation are all special times in a child's life. Being able to capture and preserve these special mile stones is priceless. Fara Smith Photography specializes in newborn and child portraiture which includes high school seniors and is located in Lincoln, CA. Newborn sessions are all shot at my rustic, french country feel, in home studio, located in Lincoln Crossing, while most child and senior portrait sessions are shot on location in the beautiful surrounding areas of Lincoln, Loomis, Rocklin, Roseville, Sacramento, Folsom and Auburn, CA. Please follow me on Facebook where I often run specials and host giveaways. You can also see where I get most of my inspiration by following me on Pinterest. Find me on Instagram where you can see sneak peeks of my most recent sessions and if you love Twitter find me there, I may occasionally tweet something really special! I am also on Google+ showcasing most of my work. Wether you are looking to document the birth of a baby with a newborn photographer, celebrate the moving on of your high school senior with a senior portrait photographer or anything in-between, I am confident in my ability to provide you with tangible memories that will last you a lifetime. I get to photograph this family each year, which means I get to watch these children grow up right before my very eyes. This family has also watched me grow as an artist and have trusted me along the way. And for that, I am so grateful. Julie, I LOVE your images from this year and I know you do too! Thank you for trusting me to capture your family for another year. I can't wait for next year!!! Meet Jack, a 2016 senior at Whitney High School. Jack is a part of the Varsity Water Polo team and the Varsity Golf team and plays competitive club level in the off season. Jack was involved in Whitney's Leadership Program for 3 years and is now the Prsident of the Athletic Senate. He is a member of the California Scholarship Federation and National Honor Society and has taken over a dozen AP/Honors classes during his 4 years at Whitney. He has interned at Whitney as the Director of Student Culture and would like to study engineering in college. Jack is also a Senior Rep for Fara Smith Photography. If you are a senior please find Jack and get a discount on your Senior Portrait Experience with me. This shoot reminded me of a book that I LOVE and read to my little Makayla Grace often. It is "If I Could Keep You Little..." by Marianne Richmond. I thought I would write it down here so that if you haven't read it you could read it and it could bless you as it has me and my little girl. All to often I catch myself wishing I could just keep her little for a bit longer not realizing all the gifts I would miss out on if that wish were to come true. If I could keep you little, I'd hum you lullabies. But then I'd miss you singing your concert's big surprise. Id I could keep you little, I'd hold your hand everywhere. But then I'd miss you knowing, "I can go...you stay there." If I could keep you little, I'd kiss your cuts and scrapes But then I'd miss you learning from your own mistakes. If I could keep you little, I'd strap you in real tight. But then I'd miss you swinging from your treetop height. If I could keep you little, I'd decide on matching clothes. But then I'd miss you choosing dots on top and stripes below. If I could keep you little, I'd cut your bread into shapes. But then I'd miss you finding, "Hey! I like ketchup with my grapes!" If I could keep you little, I'd tell you stories every night. But then I'd miss you reading the words you've learned by sight. If I could keep you little, I'd push you anywhere. But then I'd miss you feeling your speed from here to there! If I could keep you little, I'd pick for you a friend or two. But then I'd miss you finding friends you like who like you, too! If i could keep you little, we'd finger-paint our art. But then I'd miss you creating stories from your heart. If I could keep you little, I'd push your ducky float. But then I'd miss you feeling the wind behind summer's boat. If I could keep you little, we'd nap in our fort midday. But then I'd miss you sharing adventures from camp away. If I could keep you little, I'd fly you with my feet. But then I'd miss you seeing sky and clouds from you seat. Maddi is a 2016 senior at Whitney High School who loves school activities & studies, family, hanging out with friends and enjoying a good movie. I am so excited to share some of her amazing images with you as she is not only gorgeous but she was so fun to work with. Many people have said that she looks like Queen Mary from the amazing CW television show REIGN and even a Disney princess. Personally, I think both!! Maddi is also one of my senior reps so if you attend Whitney High School find Maddi, she has a little something for you! We shot some of her senior portraits at The Flower Farm in Loomis, a great location with lots of interesting backdrops. If you have a session with me coming up and would like to shoot at The Flower Farm please let me know, it is a fun location! Maddi, best of luck to you this year and may you be abundantly blessed as you move on to college and beyond. Meet Hailey! Hailey is a senior this year at Del Oro High School and is varsity captain of the cheer team. She is also one of Fara Smith Photography's 2016 Senior Reps! I feel so blessed to have her on my team. Not only is she GORGEOUS she is so super sweet! Hailey was styled and had professional hair & makeup done by Kabra from Maple & Moss a must have on your your big day. Meet Kaeson ~ day 12! He didn't show up to the studio very happy and in fact, Mom warned me that he had a very rough night. That bit of truth should have meant that he was going to be extra sleepy for me. But turns out, he wasn't, and he did not want to have his picture taken. He sure made me work for a good hour before he finally settled in and very lightly (I mean super lightly) slept. But you wouldn't know it by looking at his pictures. He was PERFECT! From the tips of his toes to the top of his head he was pure perfection! My rustic, french country feel, in home studio has a lot of little details in mustard yellow and it just so happens to be a favorite color of mine as well. I was so glad to learn that Kaeson's mom also liked mustard! Kaeson made mustard look amazing! Oh, and about Kaeson's mom...you have to check her out!! Whatever you have in the works, an event, a photo shoot, a wedding or simply need a new look, seek out and find kabra, pronounced KAY-BRUH at Maple & Moss. She is amazing, and I promise you, she will leave you trying to catch your breath! She does styling for everything, senior portraits, engagement shoots, family shoots, boudoir, maternity and weddings. Check her out, you will not be sorry! Now enjoy images of baby Kaeson! mustard yellow is a favorite! With a passion for the art of newborn photography and a heart for capturing the innocent, organic nature of children, it is my goal to provide parents with tangible memories of the most precious years of their lives...the journey of raising children from birth to high school graduation. Miles stones are the prefect excuse to seek out a professional photographer. Newborn, 6 month, 1 year, 5 year, 8 year, 12 year, 16 year and high school graduation are all special times in a child's life. Being able to capture and preserve these special mile stones is priceless. Fara Smith Photography specializes in newborn and child portraiture which includes high school seniors and is located in Lincoln, CA. Newborn sessions are all shot at my rustic, french country feel, in home studio, located in Lincoln Crossing, while most child and senior portrait sessions are shot on location in the beautiful surrounding areas of Lincoln, Loomis, Rocklin, Roseville and Auburn, CA. Please follow me on Facebook where I often run specials and host giveaways. You can also see where I get most of my inspiration by following me on Pinterest. Find me on Instagram where you can see sneak peeks of my most recent sessions and if you love Twitter find me there, I may occasionally tweet something really special! I am also on Google+ showcasing most of my work. Wether you are looking to document the birth of a baby with a newborn photographer, celebrate the moving on of your high school senior with a senior portrait photographer or anything in-between, I am confident in my ability to provide you with tangible memories that will last you a lifetime. Ok...I have had the pleasure of shooting some pretty amazing kids in the last couple months, I almost think that the CUTEST kids on the planet somehow find their way to me. Blessed? I think so! But...I have a confession. If I am being honest I would have to admit that I am IN LOVE with the red heads that I have had the pleasure of photographing. I don't know why, maybe it's their freckles, or maybe it is the uniqueness of them, or maybe it is that they are just so natural and simple and I somehow find the magic in their simplicity. Whatever the case may be I am obsessed with them! The color that I get when I photograph them is amazing! They somehow seem to leap of the screen. See for yourself. Aren't they GORGEOUS? ALL SMILES for his 1 year mile stone session! 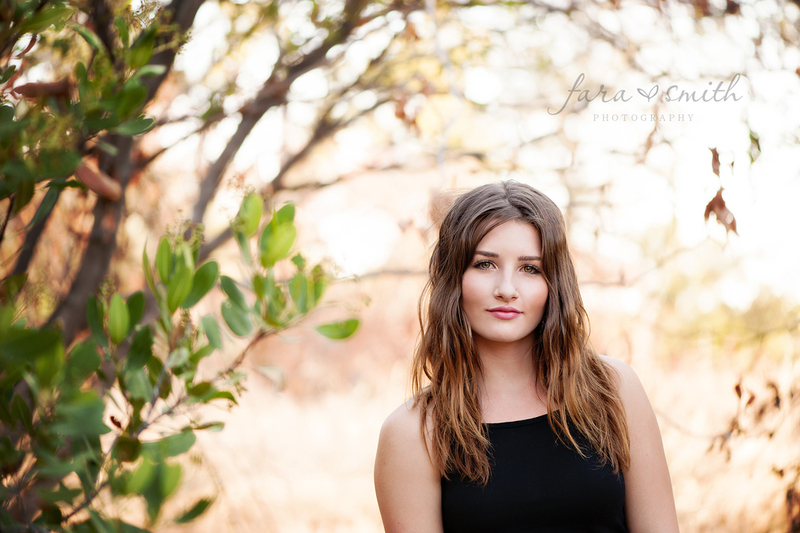 Meet Meghan, a senior at Roseville High, class of 2014! When I first met her it was her larger than life smile that caught my attention. She was giggly and happy, and a bit anxious about being front of the camera. I assured her that she was remarkable and not to worry about a thing, she did not disappoint, she rocked the entire session. Meghan and her mom described herself as outgoing, friendly, social and driven! Meghan's beautiful makeup was done by the amazingly talented Jill Briggs at Beauty Box Makeup Arts. Bring a prop to your senior session. What makes you unique? Let's make it part of your session! Professional hair & makeup is a must! You will not regret the decision to invest in professional hair and makeup for your senior portraits! With a passion for the art of newborn photography and a heart for capturing the innocent, organic nature of children, it is my goal to provide parents with tangible memories of the most precious years of their lives...the journey of raising children from birth to high school graduation. Miles stones are the prefect excuse to seek out a professional photographer. Newborn, 6 month, 1 year, 5 year, 8 year, 12 year, 16 year and high school graduation are all special times in a child's life. Being able to capture and preserve these special mile stones is priceless. Fara Smith Photography specializes in newborn and children portraiture which includes high school seniors and is located in Lincoln, CA. Newborn sessions are all shot at my rustic, french country feel, in home studio, located in Lincoln Crossings while most child and senior portrait sessions are shot on location in the beautiful surrounding areas of Lincoln, Loomis, Rocklin, Roseville, Sacramento and Auburn, CA. Please follow me on Facebook where I often run specials and host giveaways. You can also see where I get most of my inspiration by following me on Pinterest. Find me on Instagram where you can see sneak peeks of my most recent sessions and if you love Twitter, find me there, I may occasionally tweet something really special! I am also on Google+ showcasing most of my work. Wether you are looking to document the birth of a baby with a newborn photographer, celebrate the moving on of your high school senior with a senior portrait photographer or anything in-between, I am confident in my ability to provide you with tangible memories that will last you a lifetime. Bring props, like a skateboard to help style your shoot and make it unique! With a passion for the art of newborn photography and a heart for capturing the innocent, organic nature of children, it is my goal to provide parents with tangible memories of the most precious years of their lives...the journey of raising children from birth to high school graduation. Miles stones are the prefect excuse to seek out a professional photographer. Newborn, 6 month, 1 year, 5 year, 8 year, 12 year, 16 year and high school graduation are all special times in a child's life. Being able to capture and preserve these special mile stones is priceless. Fara Smith Photography specializes in newborn and child portraiture which includes high school seniors and is located in Lincoln, CA. Newborn sessions are all shot at my rustic, french country feel, in home studio, located in Lincoln Crossing, while most child and senior portrait sessions are shot on location in the beautiful surrounding areas of Lincoln, Loomis, Rocklin, Roseville and Auburn, CA. Please follow me on Facebook where I often run specials and host giveaways. You can also see where I get most of my inspiration by following me on Pinterest. Find me on Instagram where you can see sneak peeks of my most recent sessions and if you love Twitter find me there, I may occasionally tweet something really special! I am also on Google+ showcasing most of my work. Wether you are looking to document the birth of a baby with a newborn photographer, celebrate the moving on of your high school senior with a senior photographer or anything in-between, I am confident in my ability to provide you with tangible memories that will last you a lifetime. On location spring mini session. This shoot was so much fun! I knew it was going to be AMAZING when Mom emailed me and told me that she was wanting to go with a Bohemian theme :) Yes! I LUV it! I had purchased the flower head piece worn by the older girl some time ago...I was dying to use it in a shoot. I just knew it would fit in perfect! If you love the head piece too you can find it on Etsy here. If you LUV this flower head piece, you can find it on Etsy here. It is DARLING and makes an amazing prop! On location, outdoor family session. Look at this little face...DARLING!